A row of day class swinging moorings are available on the west and east side of the Cowes Harbour fairway south of No. 10 beacon. 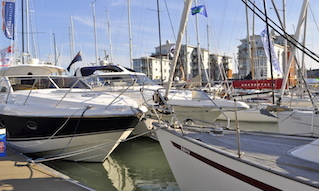 The moorings are licensed for 12 months and are left in place all year round. Some of these moorings stay afloat at all stages of the tide while others are ‘semi-tidal’ and are not afloat at all states of the tide. 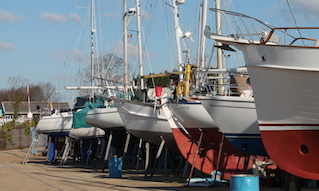 Semi-tidal moorings are only suitable for certain types of boats (e.g. flat bottom, bilge keel, etc.) and owners should be aware of the effects of drying out on their particular craft before accepting a mooring of this type. If you have any questions regarding suitability, please Contact Us. There is currently some availability on these moorings. 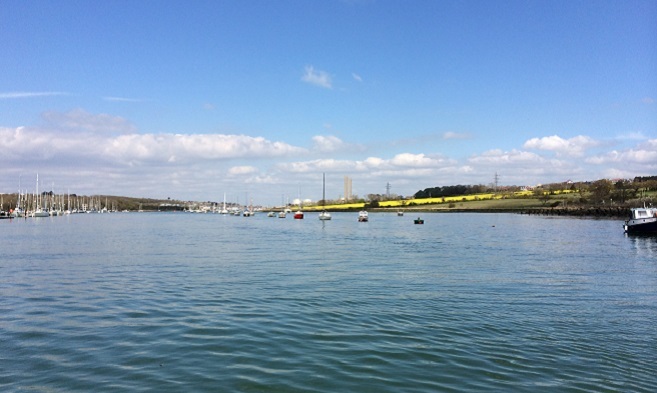 Ten swinging moorings are laid at Medham Creek on the west side of the River Medina; these moorings do not dry out and are allocated to cruiser class vessels generally between 8-15 metres in length. A mooring strop is required (see below). Owners who take up a Medham Creek cruiser class mooring will need to provide, at their own expense, a made-to-measure mooring strop. The mooring strop is fitted to the mooring buoy by means of a shackle and remains fixed to the buoy all season long. 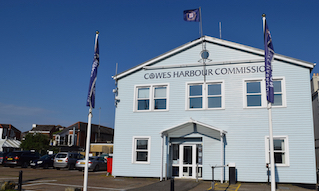 Cowes Harbour Services will fit the strop to the buoy at the beginning of the season and remove and store it at the end of the season if the vessel wishes to come ashore. All strops are inspected prior to fitting; however, it is the owner’s sole responsibility to ensure that the strop is fit for purpose. We accept no liability for damage or injury caused by a faulty, damaged, or inadequate strop. Details of local suppliers are available on request. Please Contact the Cowes Harbour Services Moorings team for advice and all queries regarding Folly Reach swinging moorings.